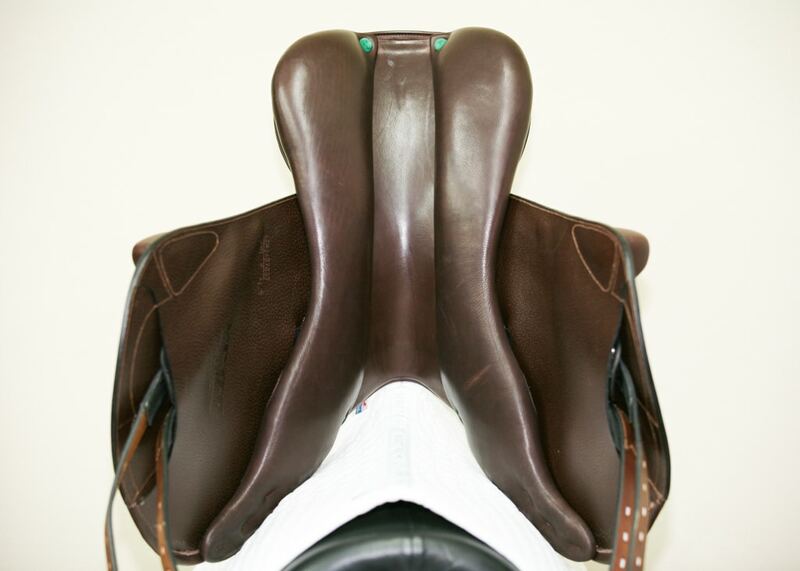 Special order options: Extra-Wide tree; Newmarket color; Short, Long, or Extra Long flaps. 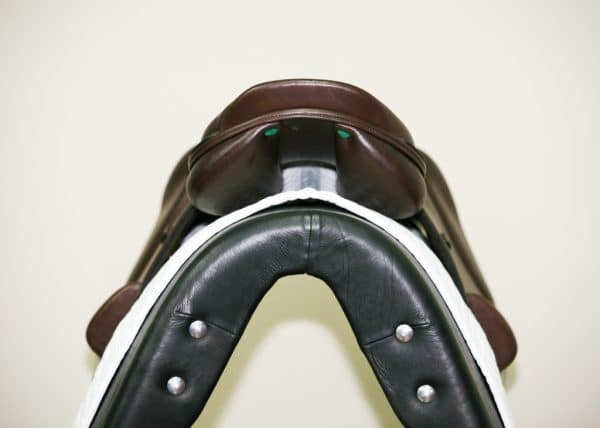 The Vega Jump saddle also is available with straighter, dual flaps rather than extended forward monoflaps. 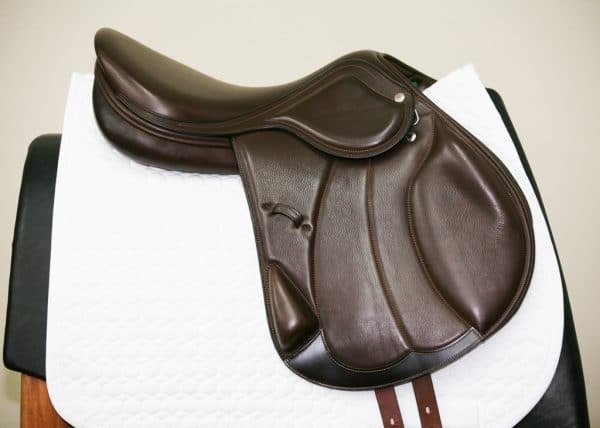 It may be ordered with printed cowhide (rather than Italian calfskin leather) with dual flaps for $4,100.00. 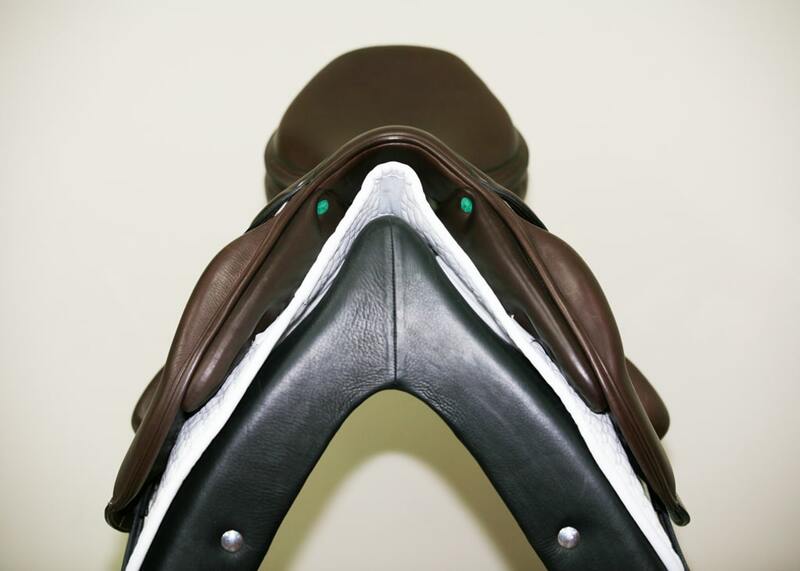 Please contact us for more information or to order special options. 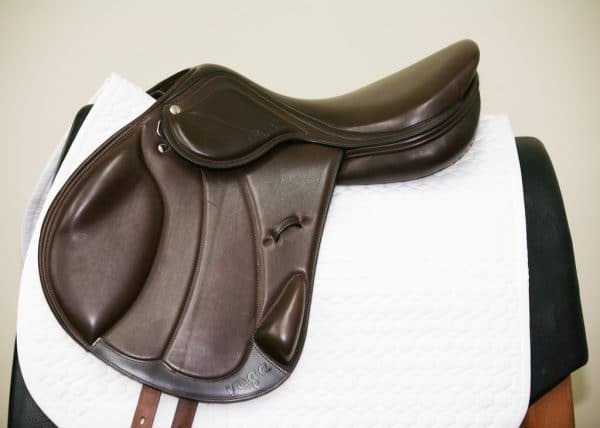 In 2005, Peter Menet extended his unique design philosophy, which positions the rider forward over the horse’s center of gravity and allows the horse to move more freely, to an all-new Italian saddle – the Vega.